Home / news / rumour / ZX-Series / Sony to release a NW-ZX100 Successor, the NW-ZX300. Sony to release a NW-ZX100 Successor, the NW-ZX300. 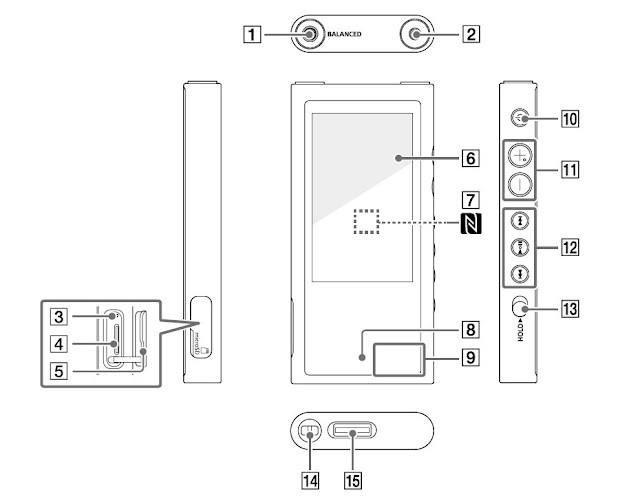 Sony will be introducing a second Walkman along with the NW-A40, the ZX200. The new ZX200 will have a similar design to the older ZX100, but will offer a slimmer design, include 2 outputs on the top of device like the ZX2. Controls have been moved to the side of the device with a touch screen as the main controls for menu operation. Micro-SD support will be included along with NFC and bluetooth, most likely 4.1. While I feel the ZX2 will still remain the top end model with the ZX300 slotting between the middle, to sit above the A40. Pricing should reflect this so I would not expect this to be that affordable. Unfortunately with no FCC filing (yet) for the ZX300 in the US, this model might only be available in Asia and possibly Europe, so anyone from the US wishing to buy this might have to import it. Still there own operation system which mean you can not stream music from Spotify that you can on the NW-ZX1 who has Android. I agree that usage is the key to determining what type of UI/OS is best. While I don't stream much, I like to use such services on occasion (especially, to explore new music). Thus, I'd rather have the functionality. Sony seems to be moving away from Android in their Walkman, so I might need to try other brands (FiiO, iBasso, etc.) when the time comes to change my ZX2 (a fabulous player). It's a pity that Sony is not offering any player that is open to Wi-Fi and to additional audio apps. I love Walkmans (in fact, I have only owned Walkmans) but Sony might force me away from them. Thanks for the input on FiiO and iBasso. Yes, I 've read that they both have less-than-stellar Ui. I'm pretty sure that Sony provides a much more polished user experience. This needs to be balanced with specific needs, such as WiFi, etc. Hopefully, Sony will return to offering at least one premium player with such capabilities.